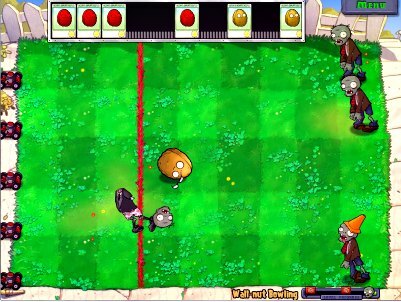 The Plants vs Zombies game won the coveted award of "Game of the year" in its first year of release. It has also become one of the most well-known zombie games ever to be created. Released in 2009 for PC, it is one of the most well received casual games released to date. If you are at this page, you must have heard about it, and want to know a bit more. Let’s start with an overview of the plot, mechanics and then into how 'good' or 'bad' that it is. What is The Plants Vs Zombies Game About? You, our player, only wants to be left alone and zombie free, but those pesky zombies know you have tasty brains in your head, and you’re in the house! So of course the zombies are going to try to get in and eat your brains. Thankfully for you, you have some friendly plants in your yard that want to protect you and keep you safe. Everything from your 'sun flowers' to your 'pea shooters' and 'cat tails' want to keep those zombies at bay. With your help they will keep those tasty brains in your head. At its core this is a tower defense type of game at the most basic form. Zombies come in a linear motion to a single final target, and you stop them. Zombies come at you in one of five rows. 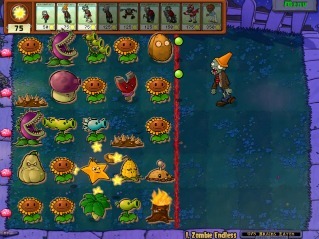 Each zombie has its own ability and you use various plants to stop them from getting to your house. There are several levels, your front yard, your back yard, and the roof. Each of those levels is separated into night and day, with several mini levels scattered through the game; my personal favorite of these is "I, zombie" Where you take the place of the zombies trying to get through the defenses of a yard to eat those tasty brains. Who does not love walnut bowling? 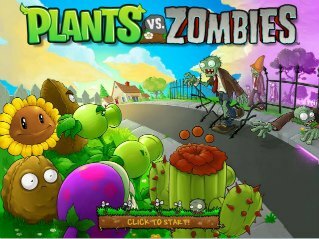 How well does Plants Vs Zombies Rate? The graphics, language, and story is all very family friendly and appropriate for all ages, with very comfortable and easy to use controls, coupled with the ability to close the game with zero notice and be able to pick right back up where you were without having to start a level over is a huge plus for the casual gamer as well. The music can be a bit repetitive but that’s easily turned off, or tuned out if need be. 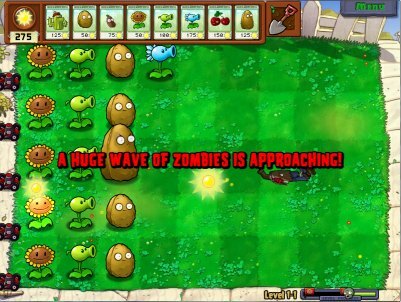 In Plants vs Zombies game replay value is reasonably high as well with many achievements, unlock able toys, and when you beat the game, it starts over with a new challenge; your insane neighbor chooses some of your plants FOR you! That of course makes it all that much harder to keep the zombies at bay. If you are looking for a family friendly game for the kids on a long trip, or even something casual for the person who does not have a lot of time to sit and play a game from beginning to end, or even if you want a mild distraction for a little bit every so often plants vs. zombies is the game for you. I can’t speak highly enough of this when it comes to the casual game genre. If you are interested in owning it, you can buy Plants Vs Zombies game here!